The Exage is new in the range and replaces the Catana BX and FX. There are basically 2 models; the Lite/Fast and the Sea. The Lite/Fast is developed for allround Bolognese fishing, while the Sea is developed for float fishing in salt water. The blanks have a sensitive tip section for bite detection and to give the right action to the bait. The rods have enough backbone to set the hook and fight a fish. The rods are fitted with Pac Bay Minima 4 guides and a Shimano Plate reel seat. The grip of the rods are rubberized to ensure a strong hold. 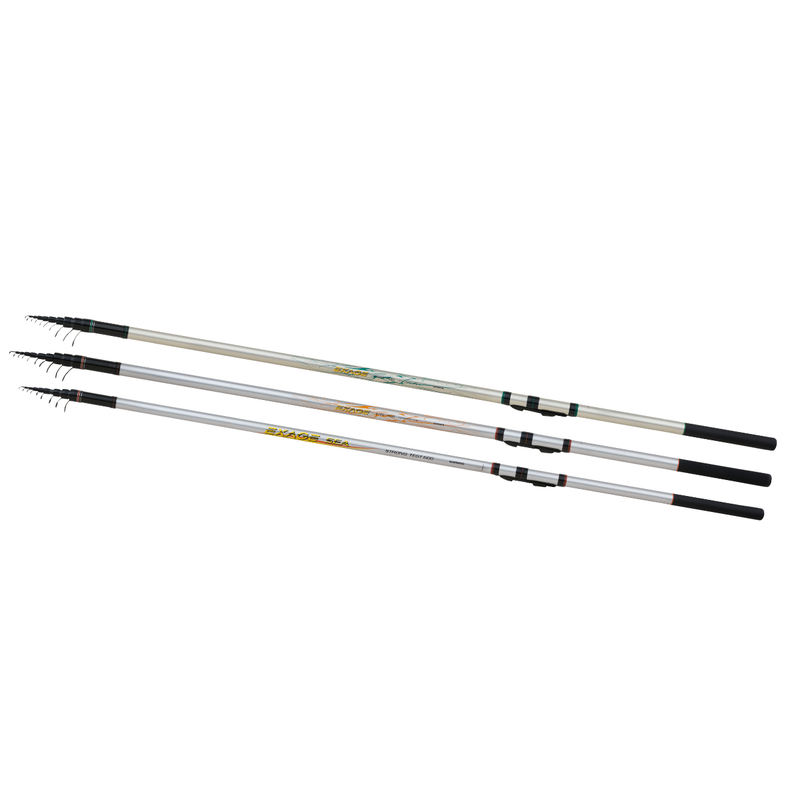 Shimano use PAC BAY components on salt water and freshwater rods. High quality aluminium reel seats are used on the best Shimano boat rods and lightweight Pac Bay Minima guides are becoming popular on telescopic rods.